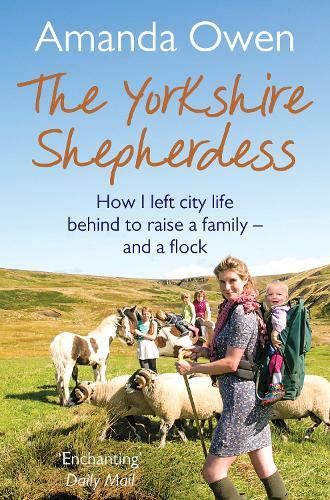 In The Yorkshire Shepherdess she describes how the rebellious girl from Huddersfield, who always wanted to be a shepherdess, achieved her dreams. Full of amusing anecdotes and unforgettable characters, the book takes us from fitting in with the locals to fitting in motherhood, from the demands of the livestock to the demands of raising a large family in such a rural backwater. Amanda also evokes the peace of winter, when they can be cut off by snow without electricity or running water, the happiness of spring and the lambing season, and the backbreaking tasks of summertime - haymaking and sheepshearing - inspiring us all to look at the countryside and those who work there with new appreciation. A story of Amanda's every day life made into a great read by her style of writing. hard to believe its her first book.. If you've ever dreamt of escaping the rat race without the cold, driving rain and the long days then this is the book for you.